Did you know that over 40% of professionals report loosing sleep because they can’t get the job off their minds, and 60% of millennials? Yet, sleep is vital to positive wellbeing. It enhances your memory, enriches your ability to learn and make good decisions. It keeps you slim, fine tunes your metabolism and your appetite. It protects you from cancer and dementia. It wards off colds and flu. It lowers your risk of heart attacks and stroke, not to mention diabetes. It re-calibrates your emotions, re-stocks your immune system, inspires creativity. In ‘Why we Sleep’, Matthew Walker maintains that a silent sleep-loss epidemic, “is having a catastrophic impact on our health, our life expectancy, our safety, our productivity and the education of our children”(2). Walker’s advice to everyone is to sleep 8 or 9 hours a night. 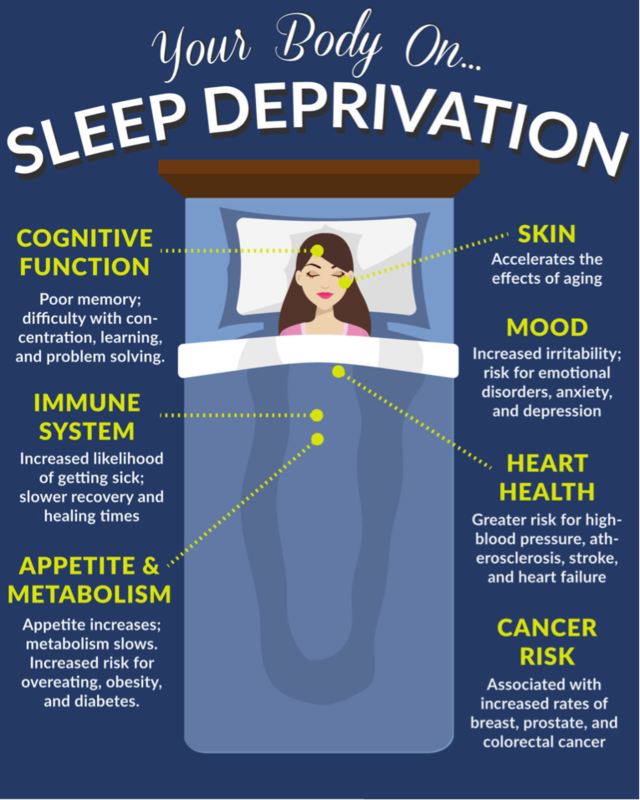 He describes how insufficient sleep harms the brain, demolishes the immune system, disrupts the body’s blood sugar balance and damages coronary arteries. Long-term consequences include elevated risks of Alzheimer’s, cancer, diabetes, heart disease and stroke. When it comes to work, obviously sleep deprived employees do not make for effective and engaged staff. “When we are sleep deprived, concentration is impaired, we are more likely to demonstrate greater risk-taking behaviours, communication is decreased, performance deteriorates and sickness increases “(3). Yet, almost one third of employees sleep less than 7 hours per night. 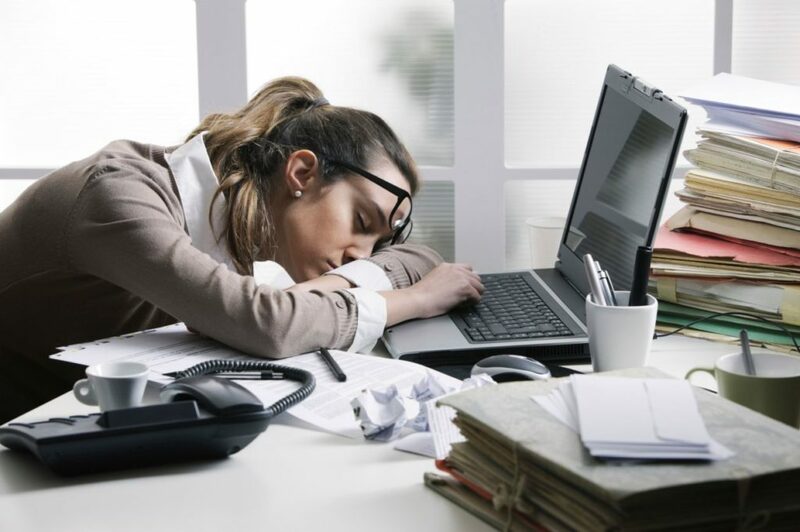 Rand Europe carried out a very comprehensive study on the impact of sleep, which concluded that the economic cost of tired employees being less productive or absent from work altogether amounted to almost 2% of GDP. How can employers support good sleep for their employees? Making employees aware of the research and providing them with practical tools so they can improve their own sleep can be helpful, including breathing techniques, good diet routines, relaxation rituals etc. At work, fostering a healthy culture in terms of sleep means encouraging people to take breaks, leave the office to walk, get natural light, take holidays; creating quiet rooms for rest etc. What can you do to help yourself to sleep better? Colas, coffee, teas (that aren’t herbal) and chocolate contain caffeine, which is a stimulant. Nicotine is also a mild stimulant. A lights snack before bed is okay, but a heavy meal can cause digestive issues. Drinking fluids late can cause frequent awakenings to urinate. Some commonly prescribed heart, blood pressure or asthma medications can disrupt sleep patterns. It may be possible to take them earlier. We sleep better if the temperature in the room is kept on the cool side. Gadgets such as mobile phones and computers can be a distraction. If you find yourself still in bed for more than 20 minutes, awake or you’re starting to get anxious in bed, get up until you feel sleepy. 2.’Why we sleep’ by Matthew Walker, 2017. If you want to learn more, watch Matthew Walker’s google talk here.